Tucked away in the centre of Gouda you will find the factory of the crispiest syrup waffle in the Netherlands: the Kamphuisen Syrup Waffle. Ever since 1810 the waffles have sold like hot cakes. Not surprising, because a Kamphuisen Syrup Waffle isn’t just any old treacle waffle! Do you want to find out what makes this delicacy so tasty? Come to the completely renewed syrup waffle factory and enjoy the greatest attraction in Gouda! Discover the story behind Kamphuisen and step into the wondrous world of the bakery factory. As soon as you come in, you will smell the delicious, sweet fragrance of syrup waffles and you can see for yourself how the tastiest syrup waffles in Gouda are made. 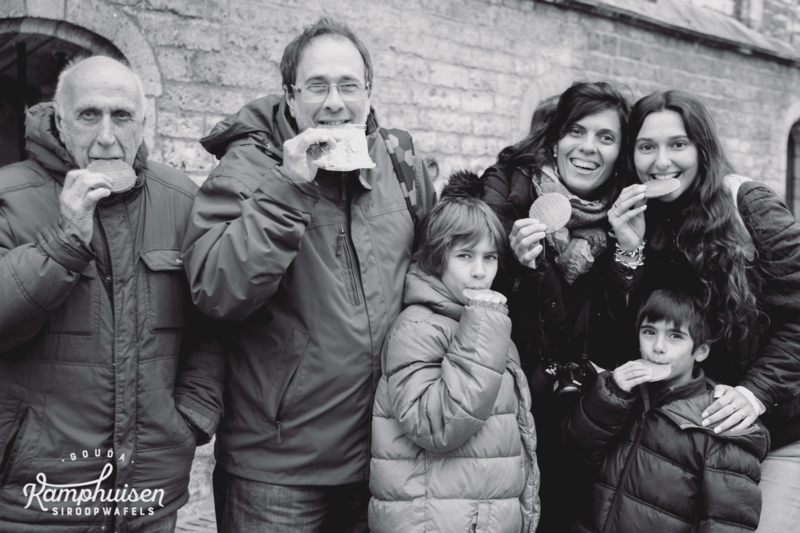 A visit to the Kamphuisen syrup waffle factory is an adventure for all ages! Will you discover the secret recipe? During your visit to the Syrup waffle factory you will learn more about the origin of the Kamphuisen syrup waffle and see the syrup waffle bakers at work in the factory. You can look into the heart of the oven and see how the syrup waffles are baked today. Then everyone can enjoy an oven-fresh Kamphuisen syrup waffle. There is an active route that takes you right past the oven and a viewing route, especially suitable for people who are less mobile. Visit the Kamphuisen syrup waffle factory, including complementary syrup waffle. Approx. 60 minutes. Children up to 3 years are free of charge. Visit the Kamphuisen syrup waffle factory incl. complementary syrup waffle, coffee or tea and a piece of syrup waffle pie. Visit the Kamphuisen syrup waffle factory with your family, including complementary syrup waffle for all. This ticket is valid for 2 adults and 2 children up to 16 years or 1 adult and 3 children up to 16 years.